Compact design. Plugs into a standard vehicle power outlet via the included USB-CLA adapter. USB-CLA adapter included. Won't get in the way while you're driving. Could have very minor signs of storage/handling. 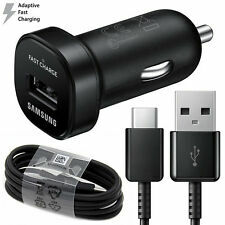 This is a Used Original Samsung Adaptive Fast Charging Vehicle Charger EP-LN915UBESTA.